This is one in a series of guest posts by other bloggers. Read to the end for a longer biographical note on today's guest blogger, Jessica from This is Worthwhile. She builds a strong case for the age-old but currently neglected practice of allowing mothers an established period of rest and recuperation after giving birth. I first published this guest post in 2009, and Jessica was gracious enough to allow me to hog it again since I love it so much. 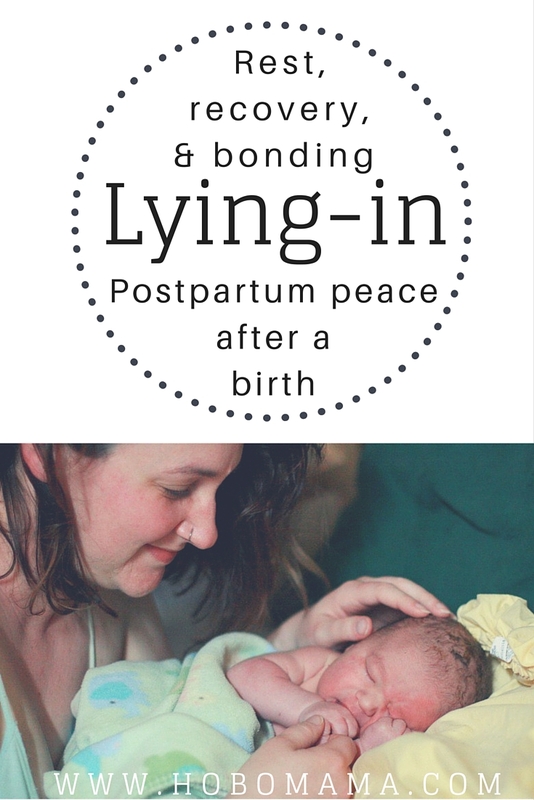 I hope the idea of lying-in can reach even more parents, because I found it essential to healing after my births. Lying-in is loosely defined as a period of rest postpartum by the mother and babe anywhere between 1 week and 3 weeks and even more if feasible by the family. The mother is to be waited on and to remain on her back as much as possible to accomplish a number of physical and emotional goals. Physically, it allows her organs to reposition themselves and generally affords her more rest. Emotionally, it allows her to focus all her attention on the new infant at her breast, to bond, and to set the tone for the rest of the family to follow suit. I'm sure some of you are thinking, "There is no way on earth I could ever pull this off," and I understand that. That's the Western paradigm talking, the go-go-go, must do-do-do because I'm responsible for everything and I like it just so. Lying-in requires that we let it all go and truly rely on our partners to pick up the slack. The idea to slow down and listen to our bodies is such a distant ideology from the nuclear family model that it's no wonder women struggle back to their routines whether ready or not. When everyone is relying on you to perform, it's difficult to resist the expectations, and it's difficult to think of it in terms other than "I'm letting them down." But a woman who takes the time for lying-in isn't letting anyone down, she is being there for herself, her babe, and her family. Just as we should all take special care to do things we love as an individual in order to remain healthy and happy as parents, same goes for our physical health during the postpartum time. The whole point of lying-in is to honor the incredible changes your body and mind have just gone through. Giving birth is not status quo: it is sincerely one of the most profound physical and emotional experiences a human body can experience, and we should be careful to understand it and give it time to recede naturally and healthily. Various cultures have been doing a lying-in period for generations; Taiwan, India, China, and Malaysia, to name a few, get to experience a period of rest and rejuvenation for up to 6 weeks. Whole families or communities pull together to allow mother and child time to recuperate, rituals are performed, and the mother is generally allowed to re-enter her old life at a more leisurely pace. Before my son was born, my husband and I told everyone we wouldn't have visitors for at least 2 weeks. Our goal was to do what was outlined in the Mothering article I mentioned at the beginning of this article. Five days in the bed, five days on the bed, and five days around the bed. What this looked like for us was five days of my husband making all my meals and doing all the laundry. He fielded the phone and the door. My mother came over, but only when we felt up to it. No friends visited, though I know they were eager to meet our newest addition. The last five days I was walking around the house, and by then I felt emotionally ready to see friends who had set up a round-robin dinner delivery for us. If you have older children, there are ways to enfold them in the process as well. Toddlers can have special new-baby boxes of toys and activities waiting for them, they can spend more time with trusted adults away from mommy, or they can even participate in the quiet bonding experience if they're old enough by holding the baby, helping to clean her, or just touching her. Your friends and family want to help and will most likely be happy to take direction and be given a responsibility. Your best friend can be in charge of laundry, your sister can handle your grocery shopping and errands, your mother can return phone calls. It definitely takes a village, after all. I don't think it's impossible to have a meaningful and recuperative time with a new family addition if you're distant from help, but it's definitely a little trickier. 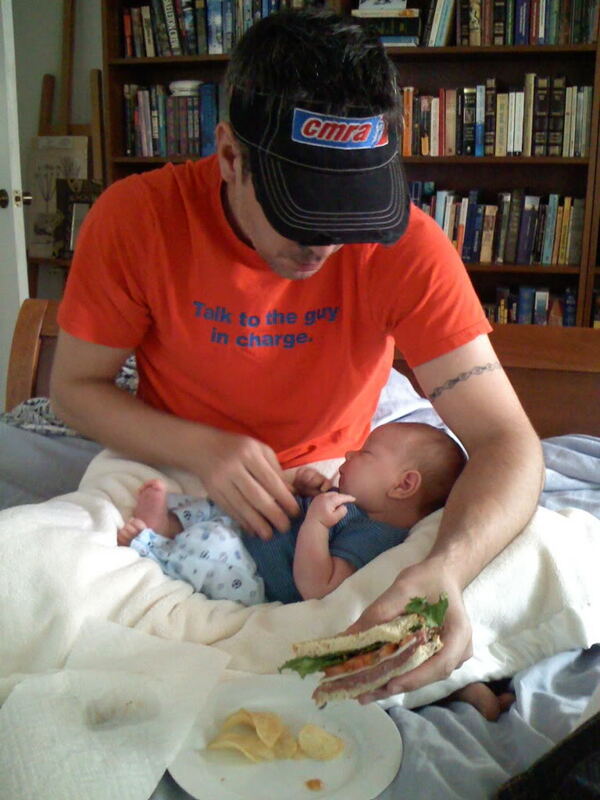 If you are isolated from friends and family, but have a partner, enlist him or her for meals and ask that phone messages be shared at a certain time or designated day after birth. Set up a diaper changing station within arm's reach of the bed so you don't have to get up to clean up baby. Aim for 5 days of this kind of care, and renegotiate with your partner for the next 4 or 5 days, then again for the last 5 as you feel more energetic. In either case, older children can still participate. 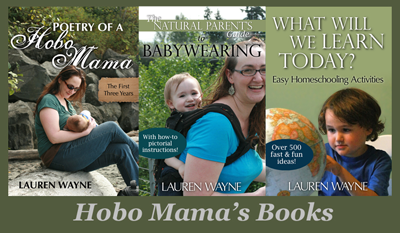 Have new toys, videos, a fort, a special book, etc., on hand. These things will help engage big brother or big sister in the process and keep him or her safely occupied while sharing your space. Rely as heavily as you need to on kind-hearted babysitters. Jessica is a mama with a master's degree in counseling because she loves to know why. She is passionate about cooking, imbibing, loving, playing, horses, and her family. Originally from the San Francisco Bay area, she currently lives in Austin, Texas, where she shares custody of son Hawk with her divorce partner and good friend, Rooster. Read more of Jessica's archived (and well-worth-a-read) writing at This is Worthwhile. This post has been slightly edited from the original version to update & replace broken links. I have really mixed feelings about this. On one hand, it's crucial to acknowledge that birth is hard work and requires recuperation, and these are excellent guidelines for arranging help and not expecting too much of yourself. On the other hand, it's important not to insist that ALL mothers follow these guidelines to the letter, because honestly, after both of my births this much restriction would have driven me mad!! Yes, I needed to spend most of my time lying down and wanted protection from the outside world after the birth...for about 48 hours. After that, my babies' hospital treatment for severe jaundice affected what I did, but I felt fine--being not pregnant anymore took such a load off my body! Home from the hospital, I began venturing out gradually, walking half-mile distances when baby was a week old and a mile at two weeks. We didn't have guests much, but I went out to see people at church, older child's school, etc. I really don't feel that I was excessively strained. That doesn't mean that everyone should do it like I did; it means that a month at home is not necessary for everyone, so families should be prepared to make it possible but willing to let Mama get up and about as she's ready. I question the idea that lying down helps you bleed freely. My experience with postpartum flow was similar to menstruation: Some would come out while I was horizontal, but sitting up caused a gush of flow that had pooled while I was lying down, and longer time lying down meant more pooled flow. I do agree that 15 days is a good minimum amount of time to have other people doing ALL the chores like cooking, cleaning, dishes, and laundry! I also appreciated, after my second birth, the midwife's instructions that my partner must check on me every 3 hours to take my temperature, make sure I had enough to eat and drink, remind me to take ibuprofen, and give me a chance to use the bathroom without holding the baby. He did at least a "Can I get you anything?" more like every hour while he was awake, the first few days, and it was very helpful.